James Clemens High School holds an overnight team building retreat for teachers. 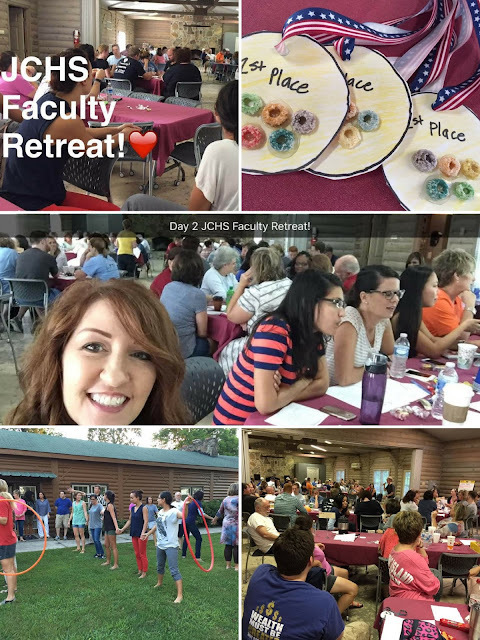 It provides a casual, relaxed atmosphere for us to meet new teachers, catch up with old friends, and get ourselves geared up and ready for the new school year. 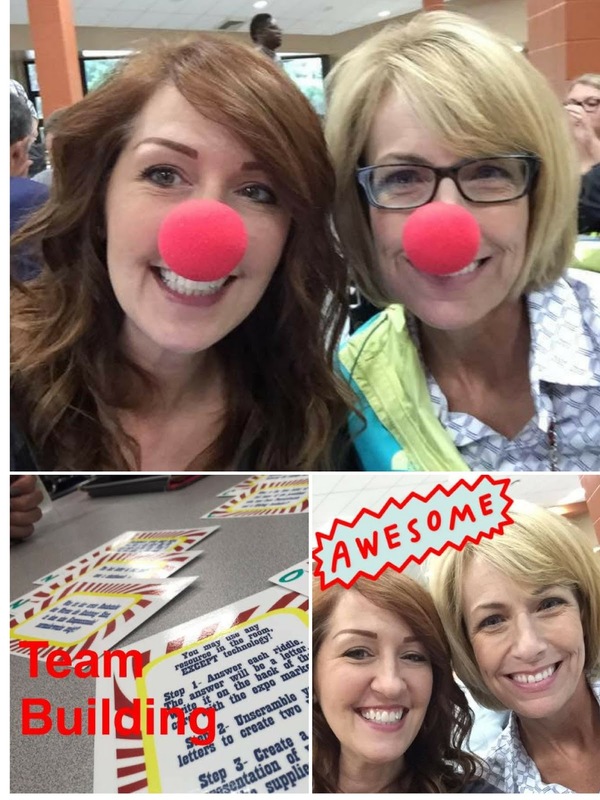 This year the creative genius of Allison Miller, Jennifer Flanagan, and Kristi Combs made the team building activities Olympic themed. They even had cool Olympic Medals to award! After the JCHS Faculty Retreat we had a morning of team building activities with our feeder school, Liberty Middle School. We focused on CONNECTIONS. I was happy to get some time to connect with my friend and fellow librarian, Sandy Brand! I love that the organizers of this team building session created a website that we can use throughout the school year to stay connected as a team for our students! Jet Night is the night before school starts back for students. Students come pick up their schedules, find their classrooms, meet their teachers, join PTA, get a cool Jets t-shirt, take care of various fees, and see old friends. 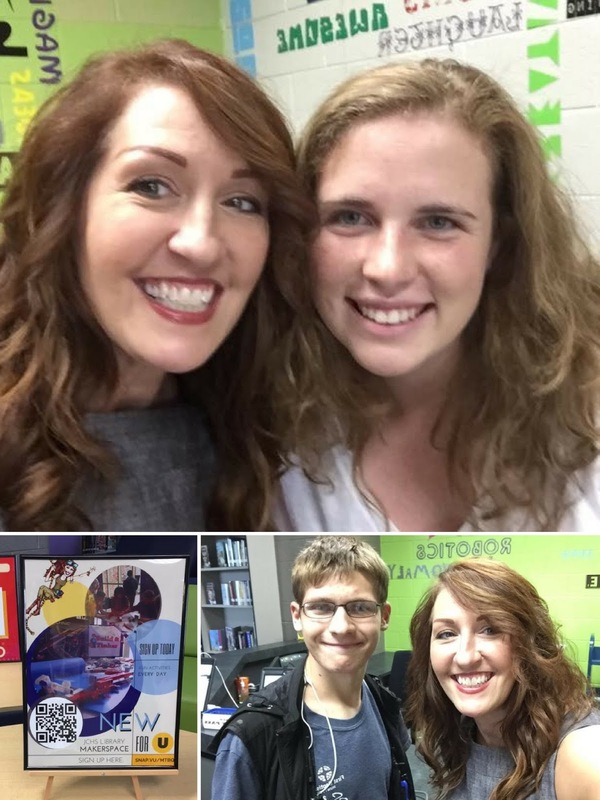 I had the pleasure of seeing old students who had graduated but came back with younger siblings, meeting new student aides, and showing off our new and improved MakerSpace. I also had our "Welcome To The Rabbit Hole" video running on a loop so that new students could see all the cool stuff we do in our library. The first three days of school were fast and furious! 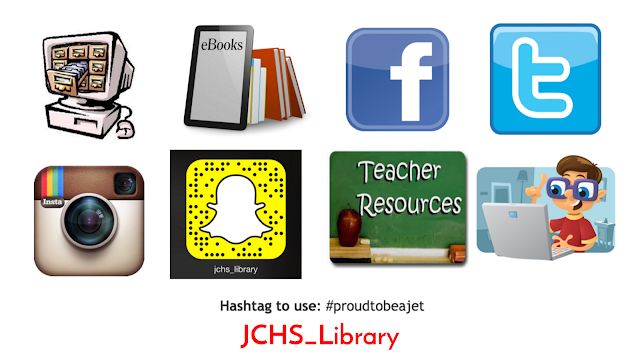 We unveiled the special JCHS Library SnapChat filter, students started making their mark on the library graffiti window, we got student aides assigned to their classes, Ms. Johnson situated her ACCESS students and settled them into their online courses, we oriented students to the new and improved MakerSpace, presented one on one and small group PD sessions, created an original ebook with our special education self-contained students all about their favorite things, and co-taught classes on building digital portfolios. WHEW! 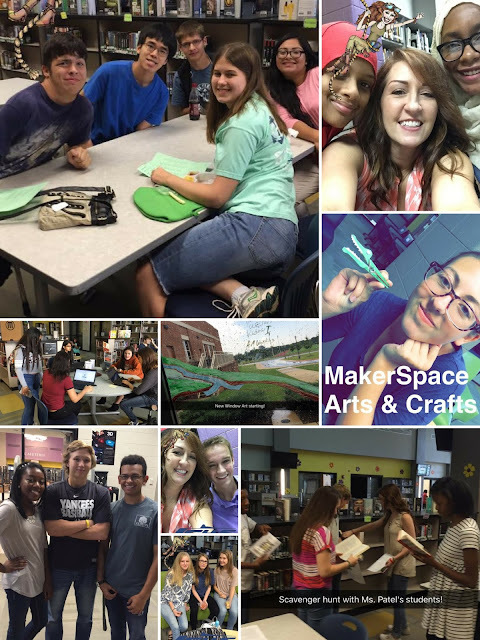 It was an AWESOME start to the new school year! Watch all of our fun throughout the school year via our social media links!